BOKA Powell delivers solutions that inspire. Their passion is guided by 40 years of experience creating compelling, flexible, cost-effective design solutions that directly respond to their clients’ needs. From concept to construction, their emphasis on principal leadership, open communication and collaboration ensure consistent results that exceed expectations. 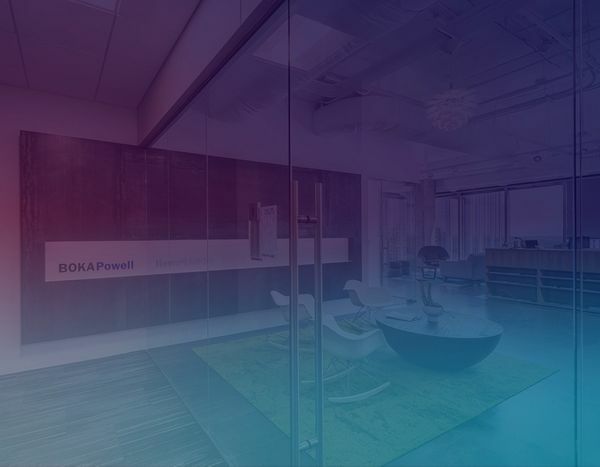 Overlooking the Medical District and the University of Texas from the 25th floor of Colorado Tower, BOKA Powell’s Austin office embodies the casual sophistication of the City of the Violet Crown. The naturally-lit space’s overall neutral palette, including wood, metal and stained concrete, is enlivened by bright pops of color. Raw elements include hot-rolled steel, unique reclaimed wood accents, and painted ceilings exposed to structure. Two conference rooms offer flexibility for huddling and project meetings, while an informal seating area encourages staff and guests to relax and take in views of downtown Austin. Learn about the Lamar Union project, a well-known collaborative design exercise that represents a thoughtful response to the challenges of growth and density and serves as a good jumping off point for a discussion about responsible urban design.